This is quite a fascinating and gripping mystery, set in Spain in the final years of the Reconquista, shortly before the fall of the last Moorish stronghold of Granada. It’s set around the search for the Sapphire Book, hidden somewhere by one of its last guardians; it purportedly contains proof of the existence of God. There is a whole set of cryptic clues which send the searchers on journeys all across the country. The searchers are three, one from each of the faiths of the book: an ageing rabbi, a middle-aged sheikh and a young monk, who each have been entrusted with a partial version of the clues: Sinoué is setting up his trio for dialogues about God, faith, religion and their three differing interpretations. An atmosphere of sadness permeates the story as we know the Moors are about to be driven from Spain, and the Reconquista will shortly mean the expulsion or enforced conversion of Jews and Muslims. I was saddened by the suspicions between the three seekers, as well as the way trust gradually grew as they advanced in their journey, and came to realise how much more similar than different their faiths were; all of this makes the story so much more tragic, of course. 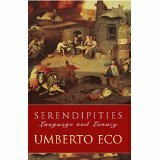 At times the book felt worthy of a writer like Umberto Eco, and I did find echoes of his Baudalino occasionally. The female agent improves the story as a foil to the men, and provides romantic interest as it is she and the monk who find their lives and fates entangled further than they expected. All are changed by their shared adventures: the monk becomes a killer and a lover, the treacherous woman comes to understand a purpose to her life and is disabused of her fanatical Christian opinions, and the Sheikh learns what forgiveness means. I enjoyed the book for its atmosphere, for making me think, and for exploring the nature of faith. I was annoyed by one gross error which someone ought to have picked up: a reference to the work of Copernicus and his dangerous astronomical discoveries, when that learned monk would actually only have been 14 years old at the time the story takes place… and if I’ve whetted your interest, I’m sorry that the novel has not been translated into English. Umberto Eco was the sort of person who made me feel proud to be a human being, if you can understand what I mean. Like all of us, he had a brain, and powers of reason. And unlike many humans, he used them. If people know who he was, they probably immediately think, oh yes: The Name of the Rose. It is a lovely novel, one of may all-time favourites, and I say lovely advisedly, for it is so many things: a wonderful detective story which pays tribute to another of my heroes, Sherlock Holmes, a disquisition on mediaeval history, theology, the religious life, human nature – in short, a work which allows Eco the mediaevalist to shine at his best. 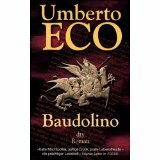 And Baudolino, his other mediaeval novel which explores the search for Prester John, does the same. His other novels are less impressive, though I have intentions of returning to The Mysterious Flame of Queen Loana, which I remember as quite autobiographical. Eco described himself as a philosopher who wrote novels at the weekends. I’ve only dipped into his other work. Some of it, especially more abstruse stuff on semiotics and meaning, has given me a headache and left me none the wiser: I haven’t the tools to access it. 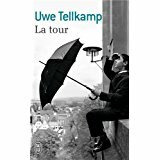 Other writings, on languages and translation, I have found fascinating and thought-provoking. And his writings about art, culture and literature, in such books as On Beauty, On Ugliness, The Infinity of Lists and especially The Book of Legendary Lands are works of beauty and great erudition. So, he was a man of learning, a man who valued learning and knowledge for its own sake, who revelled in it and in sharing it with others. For me, this is one of the greatest things a person can aspire to. When I learned yesterday of the passing of Harper Lee, I was saddened. Opening the paper this morning, I was without words for a long time. 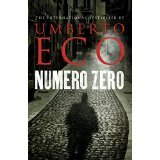 I think I shall stop looking forward to new novels from Umberto Eco, as the last couple have been disappointments. The previous one, The Prague Cemetery, was long and a bit tiresome as Eco got off on conspiracy theories with his take on that old chestnut, the Protocols of The Elders of Zion; this one is at least shorter. It’s another conspiracy theory novel, and so the narrative is layered like an onion, to create vagueness and obscurity, as a fake newspaper, never intended to be published, is projected and developed in order to blackmail a leading industrialist; we are quickly embroiled in murky Italian politics of the sixties, seventies and eighties, enmeshed in various events and names we vaguely recall having heard of but never really understood. Perhaps Eco’s native readers will get rather more from this than the rest of us? And then the big conspiracy, the possibility of Mussolini’s death having been faked using a double, is introduced, and this is where it all seems somewhat rushed, and becomes a little tedious, as it feels a bit as though this section has been spliced into a rather lighter novel… Various plot developments are also rather predictable after this point. After I got a bit tired of all this, Eco collapsed the entire plot into an interestingly twisted conclusion: is his heroine’s logical and matter-of-fact explanation of everything the obvious one, or are there just endless layers of conspiracy at work, ultimately normalising everyone’s paranoia, and allowing the dark forces to continue their work unobserved? Eco is a mediaevalist primarily, and that is why his two novels set in mediaeval times, the superb detective story which is The Name of the Rose, with its tribute to the master, Sherlock Holmes, and Baudolino, with its fictionalisation of the Prester John legend, are such masterpieces. His other novels are much paler in comparison. The Prester John legend seems to have its roots in the idea that the apostle Thomas (doubting Thomas) travelled to India and set up an early Christian community there; with the sketchiness of mediaeval geography and Muslims in between the Middle East and the Far East, all sorts of rumours emerged… Prester John, according to a forged document which first came to light in the early decades of the twelfth century, was a Christian priest and ruler of fabulous wealth and power somewhere ‘out there’ in the east, and a potential ally of the West in its struggle against the spread of Islam. I first became interested in the legend after I read Umberto Eco’s Baudolino, a novel I rate a close second to The Name of the Rose, and which shows off Eco’s mediaevalism brilliantly. I then hunted out John Buchan‘s Prester John, and started reading whatever I came across on the legend, including early travellers across the Silk Road such as William of Rubruck. Robert Silverberg I already knew as a science fiction writer, but this is an impressive volume of historical and literary research: he reviews and details the possible origins of all aspects of the legend which arose at some point in the twelfth century. The detail is fascinating, as is how mediaeval knowledge was so circumscribed (geographers conflated India and Ethiopia, which is why Prester John was to be sought in both places…) The story was developed, enlarged, embroidered, pirated and plagiarised over the centuries, even when real travellers brought back increasing amounts of accurate information, accounts of places, events and peoples. Mediaeval travellers failed to hunt down the fabled ruler in the far East, although they visited the courts of Genghiz Khan and his successors and brought back many fascinating accounts of life there, as well as encountering the Nestorian (heretical) branch of Christianity which had flourished in the region for many centuries. So they turned their attention to Ethiopia, which is where the story links in with Portuguese empire-building in the sixteenth century… Europeans came to insist on calling the ruler of Ethiopia ‘Prester John’ even though it was not his name, he had other names, and had never heard of Prester John. Utterly fascinating for being a full and easily readable account of the entire story as far as it is known, and clear insights into the workings of the mediaeval mind and its attitudes to knowledge, I must also mention that it’s a well-produced and bound US hardback from 45 years ago, good for another 45 years at least. The Americans do know how to make decent quality books. I have too many books. There are people who would say you can never have too many, and I was once one of them. But they are taking over, and what is worse, I can’t see myself ever reading them all. Life is now too short. The problem is, I love bookshops, especially secondhand ones, and I love looking in bookshops when I’m in France, with a chance to see all the books that are never going to be translated into English. And I treat myself, rather than regret not doing so, later. The books pile up; a lot of them do get read, but for some of them, the moment passes and they just sit there, reproachful. With other stuff, that other people (and I) accumulate, disposal seem easier. But parting with books is, while not exactly painful, pretty difficult for me. I can always tell myself, well, you may read it one day, well you may re-read it one day, if you’ve got rid of it then it will be harder to find when you do want it and it will cost a lot more than the £x you paid for it… I don’t have the patience to re-sell books online, so I end up giving them away to charity, a sort of tax, if you like. 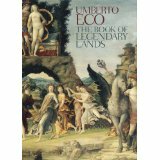 Some of you may have the impression that I think everything Umberto Eco writes is brilliant; I’m not that uncritical. I have never managed to get to grips with Kant and the Platypus, for instance – it’s way above my head. And this slim volume in the end became rather too tiresome and obscure. Eco’s thesis is interesting enough. Humans have believed lots of things through the ages, some of them completely wrong, like the idea that the world is flat, or the Ptolemaic picture of the universe. And yet, erroneous beliefs have nevertheless led scientists, discoverers, researchers in the right directions after all – hence the serendipities in the title, as we have learned things almost in spite of ourselves. Eco also enjoys playing with conspiracy theories, as many do, and as this is a relatively early work, it’s possible to see the genesis of some of his novels here. Thus his interest in the legend of Prester John led to the marvellous novel Baudolino, and the Illuminati and the Protocols of the Elders of Zion to the perhaps less successful Prague Cemetery. It’s useful to be reminded of some of the weird things people have accepted as fact over the centuries, and to reflect on what we might currently treasure as gospel that will be mocked in the years to come. It’s a wonderful yarn – a romance, I suppose, to be technically correct – set in mediaeval times, where I’ve always felt Eco is at his best. I don’t call it a novel, because I think Eco has deliberately written a story in the style of the times: the plot is linear, centred around the adventures of a central character, with everyone else as companions or incidental to the plot. It’s a Rabelaisian tale for the twentieth century, complete with the fiction of the teller needing someone to whom to tell his story. Except – there is also the meta-narrative of the power of the storyteller over the hearer or the reader: we know from the outset that Baudolino is a liar, or an inventor; can he be trusted? but then, what author can? 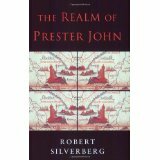 The story centres around the legend or myth of Prester John, allegedly a Christian king with a great empire somewhere in the unknown lands of the East (perhaps India way, or maybe Ethiopia, depending on which source you follow) with whom various Western monarchs are keep to make an alliance of some kind. Baudolino and his companions create and build the myth, believe in it and eventually set off on the quest. Eco is masterly here, in his understanding of mediaeval ways of thinking and reasoning, and attitudes to knowledge, which is so outside our rational(?) paradigm: something must exist because there is no reason for it not to exist, and, abracadabra! – there it is. “There is no better proof of the truth than the continuity of tradition” – what? Thus the Prester John myth is manufactured, documents created to authenticate it, and so, you can set off to find his kingdom, because it must exist! And if we think it’s a mediaeval trait for humans to be prisoners or dupes of their own inventions, what about the evidence of WMD in Iraq before our invasion…. untruth has its part to play in the powerplays of the world; you can make things have existed just by writing them down, such is the power of the written word. Nor has Eco invented everything himself; much of it is taken from mediaeval sources, such as Mandeville’s travels. If it is in Pliny or Isidore, it must be true! The imagining of other worlds is done under the influence of alcohol and drugs: no change there, then. There is ample documentation of this in Eco’s fascinating tome The Book of Imaginary Lands. Our hero never gets beyond Pndapetzim; no-one there actually knows if the fabled kingdom is actually beyond the last chain of mountains, or what is there: the kingdom is also the kingdom of Heaven, if it exists, and here we are, confronted with all the possible inventions and unknowables of religion in the world; ironically Prester John’s world seems to be the refuge of all the heretics expelled from known Christian lands over the centuries. So, as well as swashbuckling adventure, we are exploring the nature, purpose and meaning of religious faith, the afterlife, and I don’t know what else… there’s even some masterly detective work in the style of William of Baskerville in the closing chapters. I think Baudolino is an underrated work; it lacks the polish and tightness of The Name of the Rose, true, but it’s as knowledgeable and as challenging, and a compelling read. This was a pre-Christmas treat from me to me – and what a gorgeous book! It’s beautifully produced and matches the other three on my shelf, On Beauty, On Ugliness and The Infinity of Lists. And it’s utterly fascinating, and I read it from cover to cover. Eco is a mediaevalist, and, as I thought about this, I realised that it was possible for someone of his age to know pretty much everything there was to know from those times, given that knowledge, learning and resources then were rather more limited that nowadays. His encyclopaedic knowledge of literature, history, culture, theology and art really shows. A couple of years ago I read about someone trying to work out how long ago in the past it would have been when someone could have known everything there was to know – perhaps four or five centuries ago, perhaps. And that took me back to Isidore of Seville (now officially patron saint of the internet), who wrote his Etymologies in the seventh century, attempting to codify everything that was known about everything for certain at that time. People used to believe all sorts of strange things about the parts of the world they had no knowledge of, and it’s when he writes about these imagined lands that Eco is at his most captivating: Atlantis, the unknown southern continent, the lands of Prester John… and their bizarre inhabitants, both animal and ‘human’. Again, I found myself realising how differently people looked at and thought about their world; in the West, all was considered through the looking glass of religious faith and revelation, giving a view of the world that we find hard to get our minds around today, but then we see the world through scientific and materialist glasses today, and I think I’d argue that that was just as limiting to us today in our exploration of ourselves and out world, as the Christian glasses of the mediaeval epoch. Eco also demolishes the Rennes-le-Chateau story, and Dan Brown’s awful novel, in a thorough and masterly way. The whole thing was a fraud from start to finish. The illustrations in the book are a joy, too. Lots of them, some vaguely familiar, and others totally new to me; strange maps, weird creatures and visions, and I was bought up short again by the question of perspective, or lack of it, in mediaeval art: I cannot believe painters in those times could not see how weird their pictures looked, and cannot see why they couldn’t do perspective properly… which is a limit to my imagination, I suppose. Anyway, this book was a real joy and I know I shall enjoy it many times more.